Get unlimited publishing, SmartLoop and Tribes with the Unlimited PowerUp Bundle! 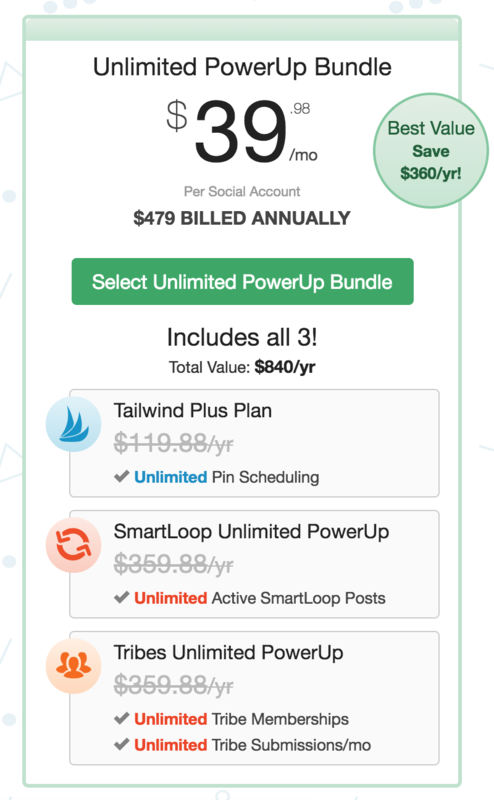 If you're a Tailwind power user who's utilizing Pin scheduling, Tribes and SmartLoop, we have a great pricing option for you. If you'd like pricing information on the different Tailwind plans, check out this article!